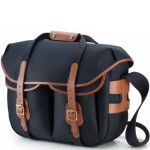 The Hadley Large Pro is ideal for photographers who want a high performance camera bag that won’t compromise their look. Modelled on the classic British fishing bag, this quality accessory is available in canvas or FibreNyte, with leather trimmings to give it a timeless appeal. With a generous 13-litre capacity, easily arrange your DSLR, lenses, accessories and laptop of up to 15”. The removable camera insert, large pockets and reinforced grab handle make this customisable bag both durable and versatile. Available in canvas or FibreNyte, with hand-finished leather trimmings built to withstand wear and tear, this bag stays faithful to traditional British design. Arrange your DSLR, lenses and accessories in the removable insert, or leave at home to use for travel or overnight trips. With a thick foam-padded base, reinforced top grab handle and adjustable shoulder strap, feel confident when carrying large amounts of gear. Two generous ‘dump’ pockets on the front of the bag are ideal for accessories and personal items, with a further zipped pocket hidden to the rear. With a dedicated pouch accommodating a Macbook Pro or similar device up to 15”, safely carry your laptop for editing on the move. 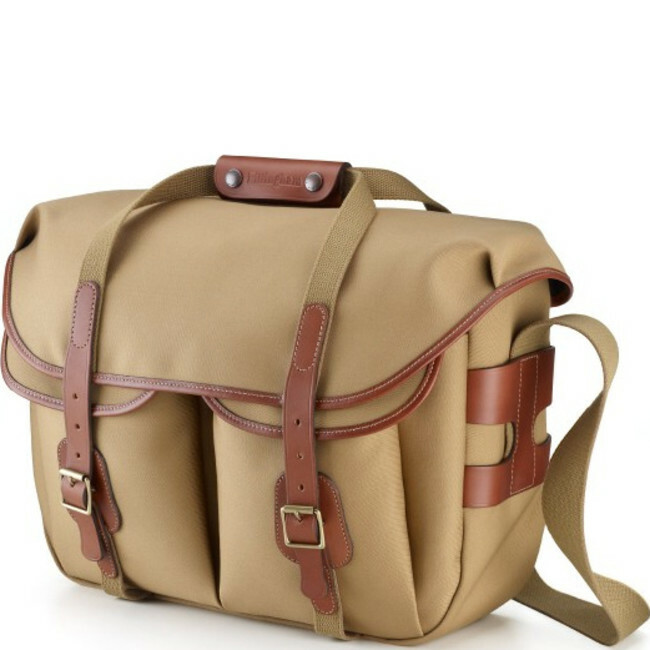 The Hadley Large Pro was designed to meet the needs of tech-loving photographers seeking a camera and laptop bag that won’t let them down. 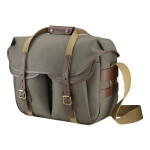 Smart and stylish but incredibly practical, it’s a heavy-duty bag from Billingham. The removable camera insert makes it quick and easy to convert your bag, comfortably holding a DSLR, lenses and accessories, with padding on the basket and base to protect your gear. Meanwhile, a dedicated laptop sleeve accommodates a Macbook Pro or similar device of up to 15”. Slip your daily essentials into the dual front pockets, and keep personal items secure in the pocket to the rear. As well as an adjustable shoulder strap, a grab handle is integrated into load points in the bag, for extra support when carrying heavy gear. 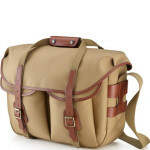 Made from quality canvas and leather trimmings, it’s a smart and practical bag with diverse appeal for the modern photographer. The tough canvas and leather construction is designed to stand up to the test of the photography lifestyle. However, to keep your bag in good condition, use a brush or clean cloth to remove excess dirt; do not machine wash. Apply a leather treatment to the trimmings from time to time, to enhance the natural shine of the leather. Billingham camera bags are made in Britain, using quality materials and traditional styling to create bags that meet the needs of the contemporary photographer. Established in 1973, Billingham is a prestigious brand with a global reputation for excellence.